Summer is heating up, and so are the nightclubs & bars leading the way and setting the trends. Last summer we saw the continued rise of summer dance music, digital ticket systems for parties, and complex refreshing cocktails. But this summer we’re turning the degrees up a few notches as the following 4 trends have emerged to amplify the nightclub & bar industry even more. It’s no secret people love to be outside in the summer. Couple that with the popular summer parties to celebrate those summer nights, and you’ve got yourself a winning trend. This year, nightclubs & bars of all sizes capitalize on the outdoor concert trend — whether it’s a nightclub hosting a day-club like pool party with a big performer, or the neighborhood bars coming together to create an outdoor block party with live music. Both concepts have been widely successful as consumers look to live up their summer months. The key here is to make sure you’re pre-selling tickets to your event to guarantee not only your revenue, but also that people will attend. You’d hate to waste all your planning to a rainy day and people choosing at the last minute not to attend because they didn’t pre-buy. Our marketing efforts are getting savvier as an industry, as many venues have taken advantage of the many perks digital channels have to offer. 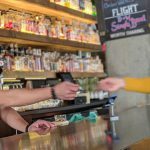 With more control over events and attendance, bars and nightclubs are starting to see a clearer picture of who their guests are as individuals and how to speak directly to them on the mediums they prefer. This means using marketing segmentation to send specific, personalized campaigns to a sub-set of your audience. People today expect you to have their data and information, and they expect you to use that information to be as relevant to their habits as possible. And for the nightclubs & bars that are using this data to craft personalized messages, they’re seeing bigger returns on their marketing dollars. After all, getting personal with your guests results in them feeling recognized and more connected to your venue. This recognition makes them more loyal and more likely to spend even more money with you. When you do this well, you’re seeing the true benefits of your marketing dollars. 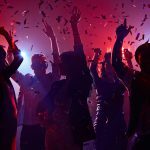 With summer parties, increased ticket sales, and improved marketing efforts, you can’t afford to slow down your operations and loose track of results. 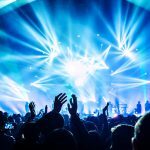 That’s why venues are turning to solutions that manage all of this one one system, including guest list, VIP reservations, client relationship management, point of sale, ticketing, marketing results, and most importantly, analytics. Using this type of technology allows you to manage, understand, and grow your business from a single dashboard. It makes it easier to track your staff, monitor progress, and see your results. It also gives you better insight, increases efficiency and revenue, and ultimately leads to a better customer experience. With a hot summer ahead, it’s important to stay on top of your game. Craft cocktails have hit their stride, as reported in Restaurant Hospitality’s recent feature on new cocktail trends. This summer, bars are turning to barrel-aged libations, culinary cocktails made with savory ingredients, beer-based cocktails, or cocktails infused with spices. While in the past cocktails were a standard liquor & mix combination, these days it’s all about the new play on quality ingredients. After all, people have become accustomed to higher quality cocktails, as it’s easier than ever to find a quality drink. The key with these crafted cocktails is to create drinks with “finesse and balance.” It can be easy to go overboard with the spices or the sweetness in cocktails. Top you cocktail off with a memorable name to stimulate conversation, and you’re on your way to trendy summer.